Boasting a substantial block of land, approximately 752m2, a wide street frontage and zoning for nearby Strathmore Secondary College, this potential packed three bedroom property offers outstanding redevelopment, renovation/extension or new build possibilities (STCA). In a convenient location, within easy reach of schools, local shops, cafes and recreation facilities, the existing home ensures immediate comfort for buyers to live in, or lease out, while contemplating its next chapter. 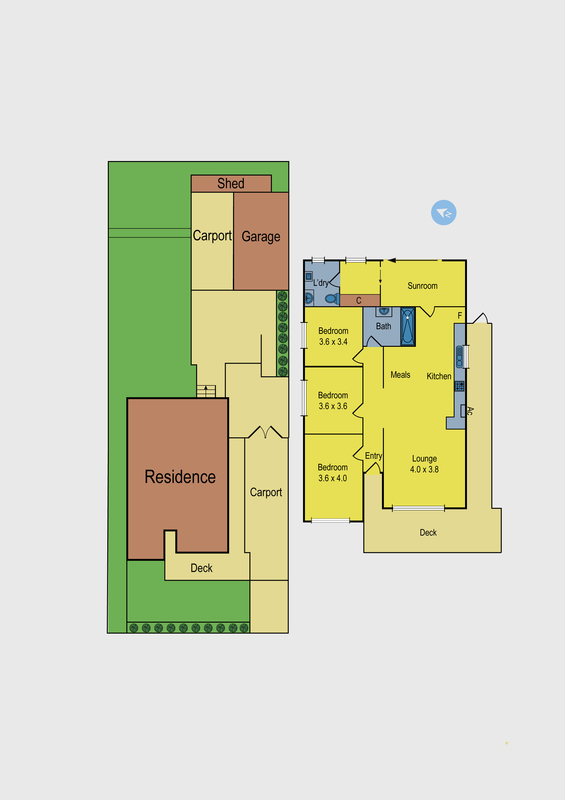 A current floor plan comprises central hallway, with patterned plasterwork and high ceilings, leading to an open plan living area and adjoining kitchen/meals with white electric appliances, updated bench tops and plenty of storage. Towards the rear is a handy sunroom and storage area. Three double bedrooms, original bathroom and laundry/powder room complete the layout. Extras include split-system, hardwood floors, tandem carport and huge backyard, with another carport and steel garage, ideal for tradesmen or to store recreational vehicles/trailers. Close to Napier Street Village, Pascoe Vale station and CityLink, while buses pass the door.